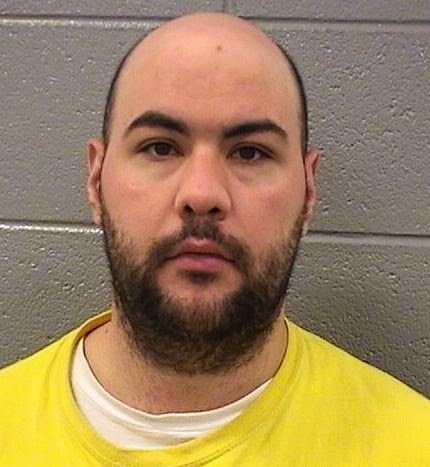 Daniel Grunauer, the 30-year-old former Wrigleyville bartender who has been called a "suspected arsonist" by a North Side alderman's office, may now officially be referred to as an accused attempted arsonist. Attempted arson charges were filed against Grunauer Friday afternoon in connection with an incident early on the morning of August 26 in the 800 block of Ainslie, about a block from his Uptown apartment. A police source told us that the August 26 incident was captured on video and Grunauer "gave an admission." Bond on the attempted arson charge is set at $100,000, but that is currently superseded by no-bond status on another charge. The police source went out of their way to mention that "the community has been fabulous" during the department's ongoing investigation. information from an official source. 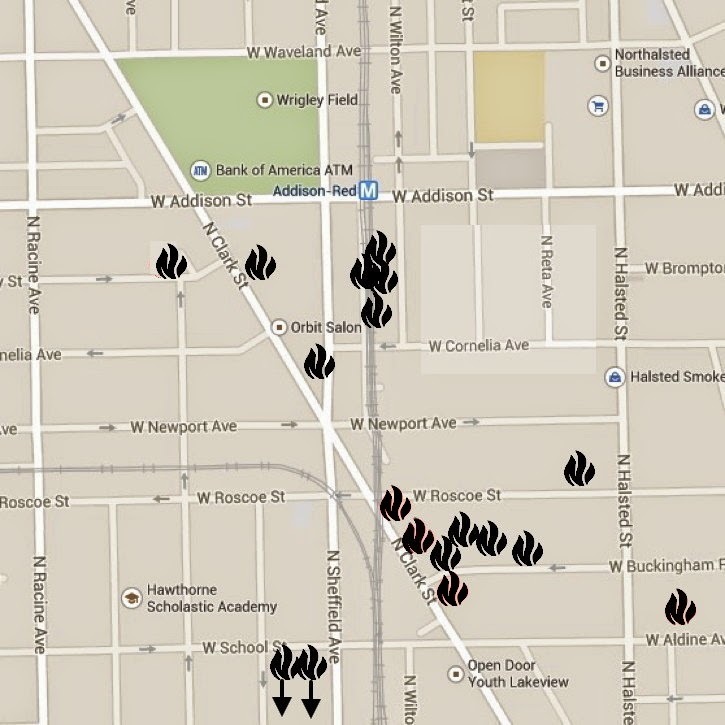 As if you hadn't noticed, there's been an arson pattern around Wrigleyville and Boystown lately. That fact was formalized by a Chicago Police Department alert on Monday. Investigators are actively seeking residential and business surveillance footage that may have captured images of the arsonist in action or moving to and from fire sites. 3500 Block of N. Wilton Ave. on June 10, 2014 at 4:00 a.m.
3500 Block of N. Wilton Ave. on June 10, 2014 at 4:10 a.m.
3500 Block of N. Sheffield Ave on June 10, 2014 at 4:35 a.m.
800 Block of W. Roscoe St on August 31, 2014 at 4:28 a.m.
3200 Block of N. Kenmore Ave. on August 31, 2014 at 5:09 a.m.
800 Block of W. Buckingham Pl. on September 12, 2014 at 11:00 pm. 800 Block of W. Buckingham Pl. on September 13, 2014 at 1:48 am. 800 Block of W. Buckingham Pl. on September 26, 2014 at 2:32 am. 3300 Block of N. Clark St. on September 26, 2014 at 2:32 am. If you have video, images, or other information, contact the Arson Section at 312.746.7618 and refer to pattern P14-N-092C. The police alert also recommends alerting neighbors to the pattern; calling 911 to report suspicious persons, vehicles or activity in alleys; securing trash receptacles and only placing receptacles in the alley on trash day; keeping your property perimeter well-lit; and securing vehicles.